As we expected, it appears that HP will be releasing a slate tablet running webOS. That probably makes more sense than coming out with a slate tablet running Windows 7. Perhaps the acquisition of Palm will put HP in a new position to market novel slate tablets that will effectively compete against the Apple iPad. 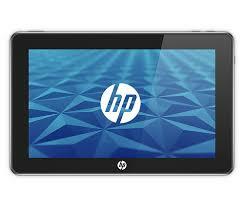 I also hope that HP will create some tablets running Google Android. We know that Dell and several other companies are coming up with slates running Android, but I'd like to see more players jump into this market. I'm really hoping that medical students and residents will have more low-cost options for slim slate tablets they can use in the hospital setting. After all, the iPad is a great device but it's priced higher than most netbooks. Medical students who are living on tight budgets may have difficulty affording premium devices like the iPad, but let's hope that Android pads and webOS pads will put enough pressure on Apple that overall prices will eventually come down.